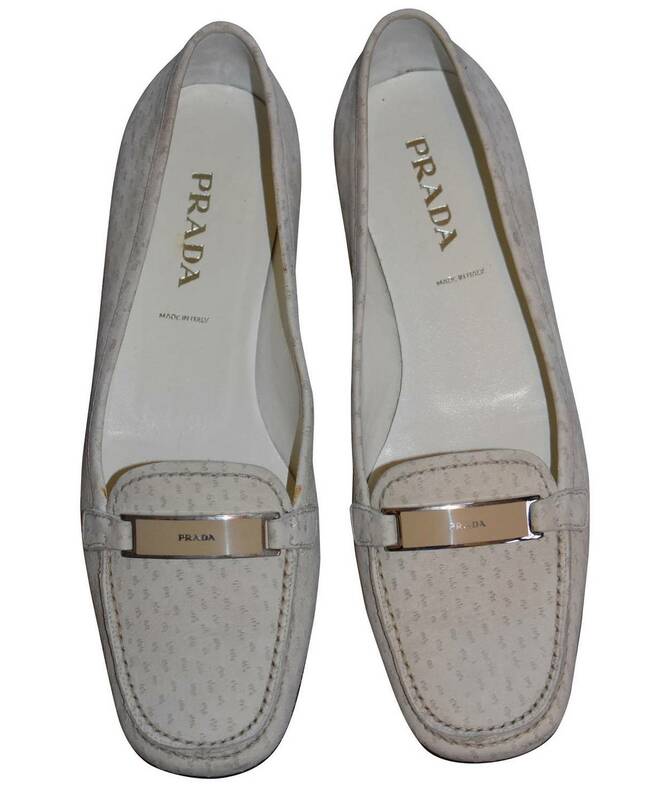 Prada St Pecary Calf flat loafer in bone suede. Enamel band to front featuring Prada in silver. 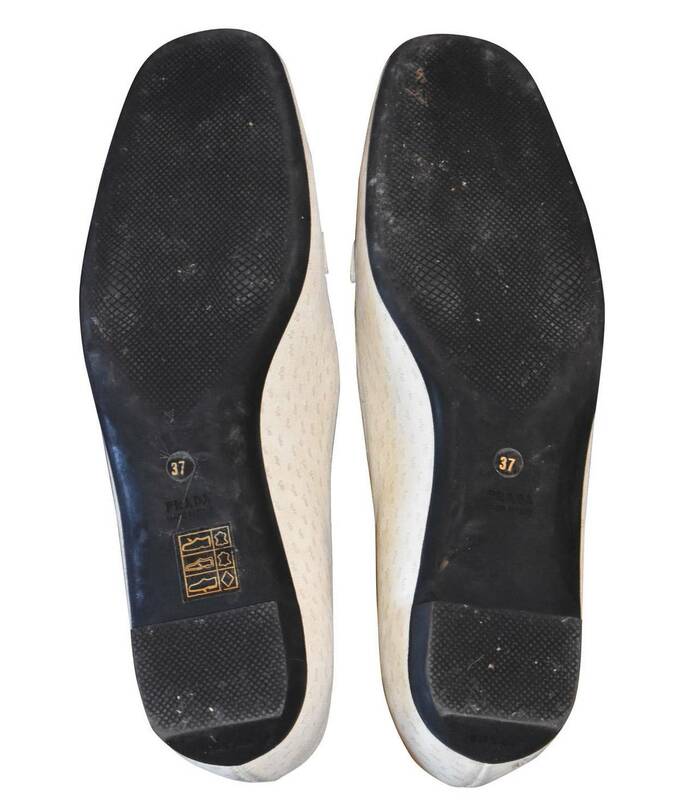 Black rubber sole. Made in Italy. Come with original dust bags and in original box.